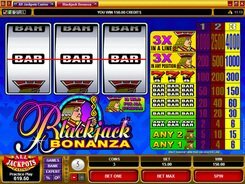 The Blackjack Bonanza slot machine is fitted with three reels and a single win line. 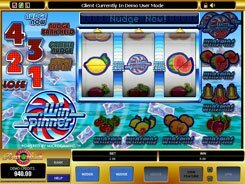 This is a classic Vegas-style slot based on a mechanical one arm bandit, thus, coming without scatters, free spins and other bonus features proper to modern Microgaming developments. 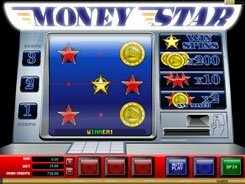 Yet, the slot has a wild symbol that helps creating winning combos. You can bet up to three coins per line. The coin size is set up starting from 25 cents up to $5. 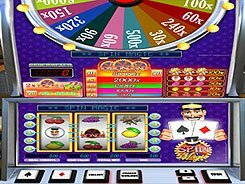 The maximum amount you can bet per spin is $15. 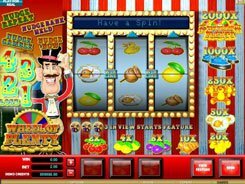 The jackpot payout comes to 4000 coins, provided you have wagered 3 coins per line. 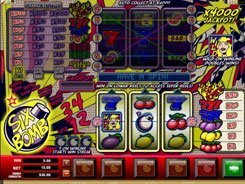 This highest award is granted for three King symbols hit on the active payline. 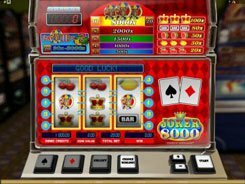 The King symbol integrates the functions of a scatter and a wild, thus, boosting your chances of rolling up winning combinations.